This is a one page website designed for the Mission 99 fundraising event by County Cavan Golf Club. 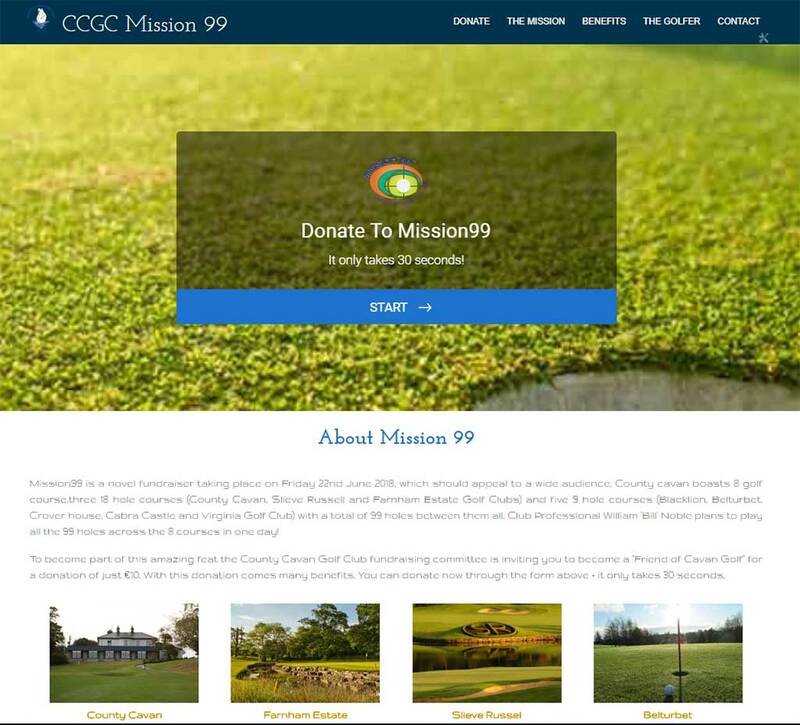 The website is focused around a secure and simple donation feature which allows visitors to easily, quickly and securely make a donation to the event while also storing donors details for the club so they can provide 2 for 1 green fee vouchers as a gift for all donors. The website's design incorporates both the blue and white Cavan colours of the club while also evoking nature and the outdoors through green and gold accent colours and carefully chosen images. The website is fully optimised for mobile and is quick to load across all devices as well as being fully secure to ensure visitors can donate safely.